Get a 24x36 poster for only $19.99! Available for a very limited time. Our art prints are giclee printed with outstanding attention to detail. Archival Quality Top shelf gloss and matte art print paper. Arrives Quick For many print sizes expidited shipping is available at checkout. Great Value World class value for top quality art prints. Poster Collages Upload unlimited images to your custom poster collage. Align your personalized layout by dragging your images. Add Your Own Text Design your custom poster print with unlimited text boxes to get the perfect design. 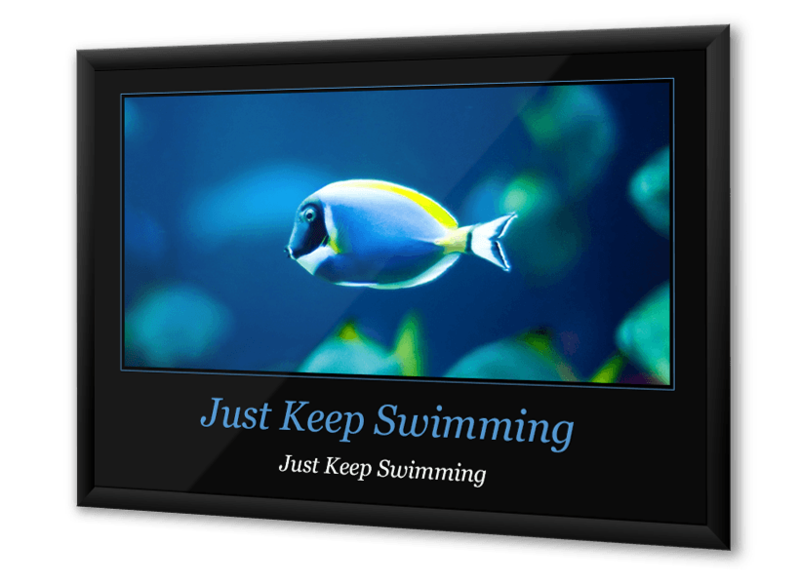 Motivational Template Make a personalized version of the popular motivational template for your poster print. Heath B. in CA said... The quality of these art prints cant even really be put into words. They are the best prints I've ever ordered. M. Sanderson in Pittsburgh, PA said... These art prints are of outstanding quality. The paper is thick and the colors are accurate and vibrant. I won't go anywhere else. Karen T. in Texas said... We had individual posters made for each member of our drama club. It was a very nice end of the year gift. Shawne in SC said... I had digital images made of my artwork and uploaded those to Royal Canvas. They made fine quality art prints and I had them in three days. R. Morris in RI said... Thank you for the great work on my art prints. Sue G. in Cedar Rapids said... I had a time crunch and Royal Canvas worked with me to get my prints in time for a show. Tucker B. in Kansas City said... I customized a picture and made it into a poster at Royal Canvas. Five stars. M. Devlin in Vermont said... I was able to take a picture from my phone and turn it into an art print without any issues. The ordering process was easy and straightforward. What file quality do you recommend? RoyalCanvas uses an advanced imaging process to increase the size of your files in a lossless manner. We accept all filetypes, including jpeg gif png tiff psd ai doc ppt zip xls and many more! How long until my custom posters arrive? Typically your custom printed posters will ship in 2 business days and rush delivery is available. Why use RoyalCanvas for my custom posters? 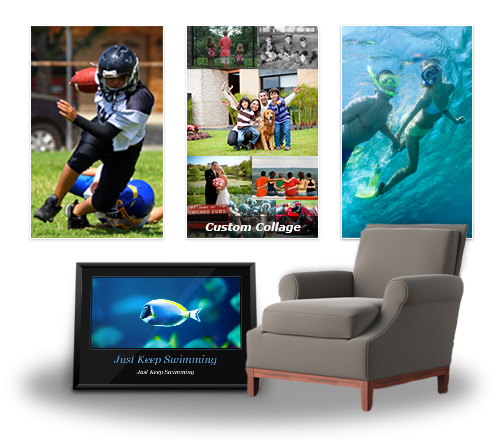 When RoyalCanvas turns your photos into posters, we take great pride in ensuring you are satisfied with our online custom poster maker and the final product you receive in the mail.